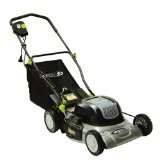 Have you just moved into a new home and need a lawn mower for the lawn you always dreamed of having? 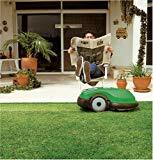 Would you like to know more about buying an environmentally friendly lawn mower? Read this article to get some valuable tips on the best electric mower for your needs. Here’s what you need to do to evaluate and choose an electric mower to match your lawn care needs. - Electric mowers offer a more environmentally friendly option over the traditional gas-powered lawnmowers. They generally run quietly and are simple to start with the flip of a switch. The required electrical power source does create limitations for these mowers. Make sure this option is the best for your situation before you make the purchase. Comparing all of the electric mower options will lead you to the model that best suits your needs. 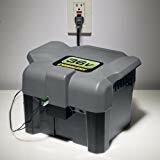 - The size of your lawn: a corded electric mower will need to be plugged into an electrical socket, hence, is not really a practical solution for a very big lawn. The cordless mower has a battery that lasts approximately one hour. Again not very suitable for big yards if you have to keep recharging; a 2 hour job will take you 3-4 hours to complete. - What sort of lawn do you have? Is the grass very thick and what height do you prefer? Based on these requirements you need to select a machine to handle lawn type and preferences. - As the country progresses towards a greener lifestyle in an effort to reduce carbon footprint, it should be noted that electric machines are an environmentally friendly option. This type of mower, which can be pushed or self propelled, is very easy to get started and functions smoothly and rather silently. They are considered a more economical option in the long term and emit fewer emissions making them an environmentally better option. These machines are also lighter in weight and many communities offer rebates for changing from gas to electric lawn mowers. Because these machines cut slightly narrower paths they are good for tight spots but it can take a bit longer to get the job done. On the downside the range of a corded electric mower is limited to about 100 feet or less and the danger of running over the cord is also a problem. With the cordless mower you have flexibility of movement and can use this machine for bigger yards as well because you are not tied to the electrical socket. In an effort to ‘go green’ converting to solar power is very easy with this type of mower. Since the battery life is approximately 45-60 minutes depending on the model you choose it may be worthwhile getting a machine that allows you to replace the battery while the exhausted one gets recharged. Otherwise your lawn mowing efforts can take forever! The lead based batteries used for these mowers needs special disposal but that happens approximately once every 2 years. Electric corded lawn mowers are light and easy to use and if you don’t mind the cable it makes a perfect lawn mower for small yards. The cordless mower is better suited to areas that are far from the electrical outlet. The benefits to using electric lawn mowers may be summed up to include: easy to start, quiet operation and environmentally friendly since they do not contribute much to the pollution levels.